Serving as the remote monitoring and management piece of the ConnectWise® Business Suite™, ConnectWise Automate is the brainchild of an IT professional who struggled with the usual challenges and inefficiencies of a reactive IT maintenance and support model. ConnectWise Automate was born out of the urgent need to eliminate technician inefficiencies and the desire to provide preventive and proactive IT services. Developed with cutting-edge, agent technology, ConnectWise Automate is the only IT management platform created by system administrators for system administrators to automate your IT services and eliminate inefficiencies. ConnectWise Automate is a platform that enables IT to move at the speed of business, without the hidden costs of other IT management systems. Licensed as an agent-based technology, ConnectWise Automate delivers 5 capabilities that every IT professional needs for their journey from reactive to proactive IT service delivery. 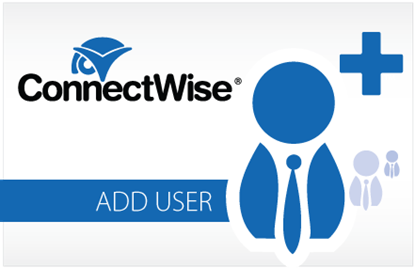 When used with the complete ConnectWise Business Suite, ConnectWise Automate also plays a part in keeping CRM data current, driving service delivery efficiencies, simplifying contract and billing workflows, and much more. Know your environment and your clients’ environments. Remotely discover and inventory agent and agentless devices. Automatically deploy agents to supported endpoints. React fast with remote control, manage multiple machines at the same time without interrupting end users, and address vulnerabilities with patch management. Find problems before they find you. Ignite your business with over 500 out-of-the-box monitors for desktops and servers. Fix problems as soon as they’re found. Get started fast with over 400 out-of-the-box scripts for software distribution, proactive maintenance, and self-healing. What about things outside of ConnectWise Automate? Enable next-level automation to reduce IT complexity and inefficient processes. Automate Any IT Process or Task. From simple scripts that restart stopped services to complex scripts that configure entire workstations, if you can think it, ConnectWise Automate can automate it. Work on Multiple Machines at the Same Time. Work on multiple servers, workstations and even network devices at the same time—natively. Create, Edit and Deploy Policies with a Single-Click. Easily manage IT policies and processes across multiple endpoints at once. Replicate changes to an entire group of devices in minutes! Solve Issues without Interrupting Your Clients. Accomplish even the most complex tasks without ever interrupting your end-users’ ability to work. Increase Performance with the Best PSA Integration. Get two-way synchronization of companies, clients, tickets, and device-billing information with your ConnectWise business management platform. 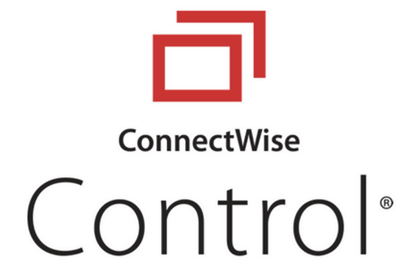 ConnectWise Automate's ConnectWise Manage Integration is certified via the ConnectWise Invent Program. If you need assistance with integration implementation, please send a note to Support@LabTechSoftware.com. The integration between LabTech and ConnectWise is excellent. The deep level of integration and mapping makes both systems communicate effortlessly with each other. The tool itself, works really well. If you are using LabTech make sure you integrate with Ignite. It adds features that have made managing large groups of agents a breeze. Hands down, the most powerful RMM tool on the market. Now, putting that power to use, is a whole different story. Expect that even with ignite, you will need to invest time in learning and training your team to take advantage of this tool and that your use will evolve over time. We moved from another RMM to LabTech nearly 4 years ago and provide a much better service to our clients because of it. We have been running Labtech for 4 over 4 years now, been through many versions. the product is good and gives our technicians the ability to mange, remote and script from one place. Engineers Love it being such a techy tool, we also run Connectwise and purchased them independently and are now looking at the Integration module, from what I have seen so far the flexibility looks good! What can I say? We should have switched sooner. We made the switch to LabTech several years ago and have not looked back since. Our technicians love the capabilities that we now have which were lacking in some of the other RMM tools we'd used previously. It truly has become our single pane of glass to manage our clients infrastructure. The system is also very flexible which allows us to manage our clients our way while still adhering to best practices. The support and interrogations available have also been very good. Wonderful RMM tool. Best decision we made as a company was moving to LabTech! We haven't used any other RMM's with ConnectWise, so I can't comment on how good the integration is compared with other products, but after some initial setup confusion it works pretty well. LabTech has a steep learning curve for the more advanced features, but when you take the time to learn how it works and implement things properly it becomes very powerful. As someone who is slowly moving from the office and sales side to the service side of our business, I will say that this program has been really easy for me to figure out. I have very little IT experience and I'm able to move around freely and without fear of messing up terribly. Most of what I'm tasked with doing has been simple to figure out and I've actually been able to teach myself a lot just by looking around. The LabTech Integration with ConnectWise is one of the best I have seen. The level of detail put into the ticket category mapping ensures you can put your tickets wherever you want them based on whatever criteria you decide. Desiding on an RMM tool to use for your MSP business can be confusing, this integration takes the question out of it!